This one is really off topic, what with it not even being close to globby, but it is kinda neat. 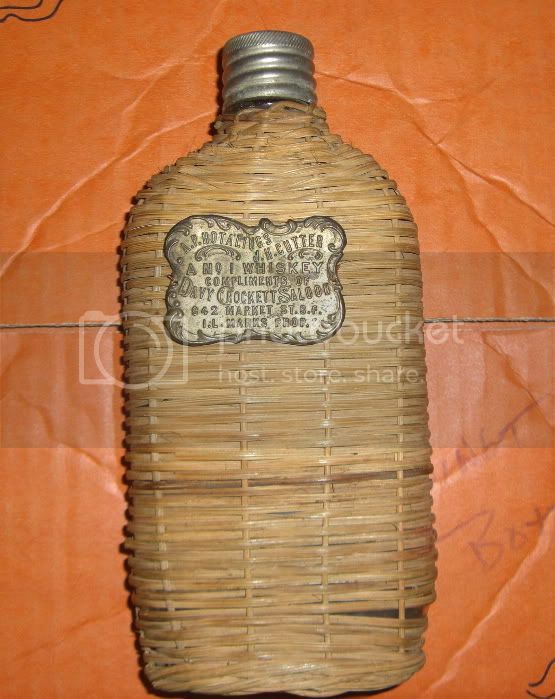 How many wicker covered flasks with "name tags" have y'all seen? The little "tag" is nickel plated brass. 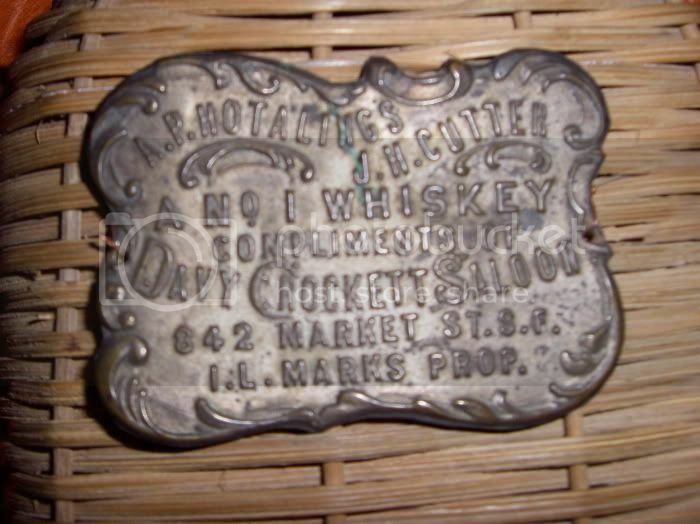 The Davy Crocket Saloon, with Isaac Marks as the proprietor, was located at 842 Market St for a bit over 2 yrs, 1901-03. In 1904 it had moved to 620 Turk St, and Marks had returned to his partnership with Adler.